Explore these great things to see and do in Sapporo, from savoring a steaming bowl of Sapporo ramen to sledding down an ice slide during the Sapporo Snow Festival. Owing in part to its central location, the market is also popular among tourists, who come in search of Hokkaido specialties such as crabs and scallops. 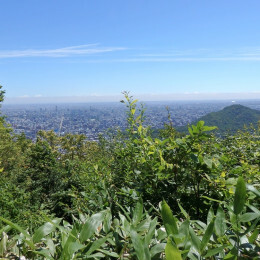 This observation hill offers commanding views of downtown Sapporo, and on sunny days the view extends as far as Mt. Shokanbetsu in the distance. Site of the famous Snow Festival in Sapporo, along with other festivals such as the Lilac Festival in spring, YOSAKOI Soran Festial and beer garden in summer and Autumn Festival in the fall, Odori Park is a popular spot with both tourists and locals. Takino Suzuran Hillside National Park covers a vast 400 hectares and offers numerous activities all throughout the year. Chi-Ka-Ho is an underground walkway linking Sapporo Station to Odori Station and Susukino Station and has a direct link to Odori Park. The second deepest and clearest lake in Japan, Lake Shikotsu is about an hour’s travel from Sapporo and is known for never freezing over despite being so far north. Used in the 1972 Winter Olympic Games and many competitions since, Okurayama Ski Jump Stadium offers panoramic views of downtown Sapporo and beyond from the viewing lounge at the top. Sometimes called Mongolian barbecue, this dish of grilled lamb or mutton with vegetables is known as ‘Genghis Khan’ (jingisukan) by the Japanese and is considered a soul food of Hokkaido. Ramen is one of the most popular dishes in Japan, and comprises of noodles served in a delicious broth. Animal lovers should definitely pay a visit to Maruyama Zoo in Sapporo, which is not only the tenth largest zoo in Japan but arguably one of the most nature-oriented. What started out as a display of six snow sculptures created by local students in 1950 has become the Sapporo Snow Festival, the largest winter event in Sapporo, attracting over two million visitors from both Japan and abroad every year. Heading west on Kita Sanjo Dori, you’ll see the grand Former Hokkaido Government Office, known by the nickname “red brick office,” standing as the street comes to a dead end. Ganso Sapporo Ramen Yokocho is the original ramen hotspot of the city, a narrow alley featuring 17 popular miso ramen shops of Sapporo. From the summit of Mt. Moiwa visitors can view a spectacular panorama of the streets of Sapporo and all the way to the Sea of Japan. Sapporo TV Tower is located at the eastern edge of Odori Park, which divides central Sapporo into northern and southern zones.